It was dawn on Oct. 3, 2009, when nearly 350 Taliban-led insurgents attacked U.S. Army Combat Outpost (COP) Keating in the Kamdesh Valley of Afghanistan. Built on low ground in a river valley, the COP was home to fewer than 60 cavalrymen from Bravo Troop, 3rd Squadron, 61st Cavalry Regiment of the 4th Infantry Division. They would confront the enemy in a 12-hour close-contact battle that nearly became hand-to-hand combat. Outpost security would be breached in three places. Fires set by the attackers would destroy the COP’s barracks. Close air support and mortar fire had to be directed at enemy forces inside the original security perimeter. The battle for COP Keating has come to illustrate the war in Afghanistan, where the mission is often as misunderstood by the American public as the remote corner of the planet where it’s occurred. Along with the Battle of Wanat, COP Keating is a signature conflict of the war. And with the publication of CNN Chief Washington Correspondent Jake Tapper’s new book, “The Outpost: An Untold Story of American Valor,” it may soon become the war’s best-known battle. The Battle for COP Keating produced a constellation of medals: 27 Purple Hearts, 37 Army Commendation Medals with “V” devices for valor, three Bronze Stars, 18 Bronze Stars with “V” devices, and nine Silver Stars. Staff Sgt. Clinton “Clint” Romesha recently received the Medal of Honor for his actions that day, and another soldier, Sgt. Ty Carter, has been recommended for one. The enemy death toll is estimated at between 150 and 200. Eight U.S. soldiers paid the ultimate price that day: Justin T. Gallegos of Tucson, Ariz.; Christopher Griffin of Kincheloe, Mich.; Kevin C. Thomson of Reno, Nev.; Michael P. Scusa of Villas, N.J.; Vernon W. Martin of Savannah, Ga.; Stephan L. Mace of Lovettsville, Va.; Joshua J. Kirk of South Portland, Maine; and Joshua M. Hardt of Applegate, Calif. According to his Medal of Honor citation and interviews with his comrades, Romesha was usually in the middle of wherever the battle for COP Keating was thickest. With enemy fighters occupying the high ground on all four sides of the COP, he moved, uncovered and, under intense enemy fire, conducted a reconnaissance of the battlefield and sought reinforcements from the barracks before returning to action with the support of an assistant gunner. He took out an enemy machine-gun team and, while engaging a second, the generator he was using for cover was struck by a rocket-propelled grenade, peppering him with shrapnel wounds. Undeterred, Romesha continued to fight, and upon the arrival of another soldier to aid him and the assistant gunner, he again rushed through the exposed avenue to assemble additional soldiers. And take it back they did. Twelve hours after the battle started, the quick-reaction force that had landed three kilometers away made it to the COP and relieved the besieged troops. 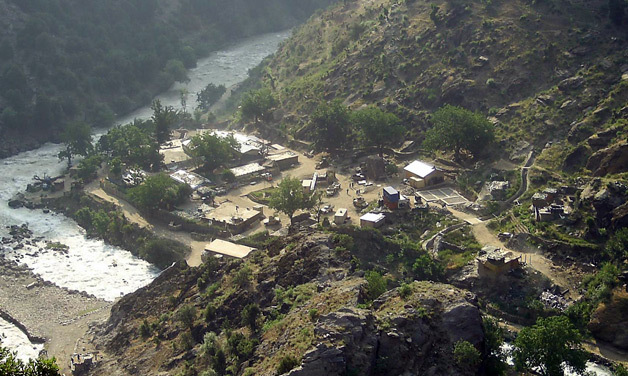 After the battle, COP Keating was abandoned, and ultimately destroyed by U.S. aircraft called in to ensure that nothing was left that could be used by the insurgents. As the last helicopters full of troops loaded up to leave the area, Romesha was the final man on the bird. Still, he’s not done fighting and advocating for his fellow veterans. And as the son of a Vietnam War veteran, Romesha appreciates everything that generation has done to ease the transition for his generation, and to ensure that they weren’t mistreated. “The support of the American public has always been (at the) forefront in my mind,” he says. “I always reflect back to the Vietnam War vets who never got their welcome home, and I try to remember and honor those guys. Mark Seavey is a writer for The American Legion Magazine Division and editor of the Legion’s Burn Pit blog site.